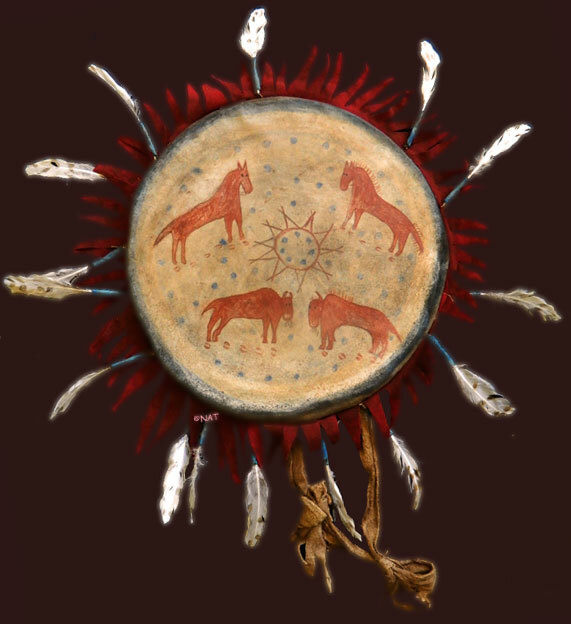 American Indian shields, war shield, dance shield, medicine shield, etc. 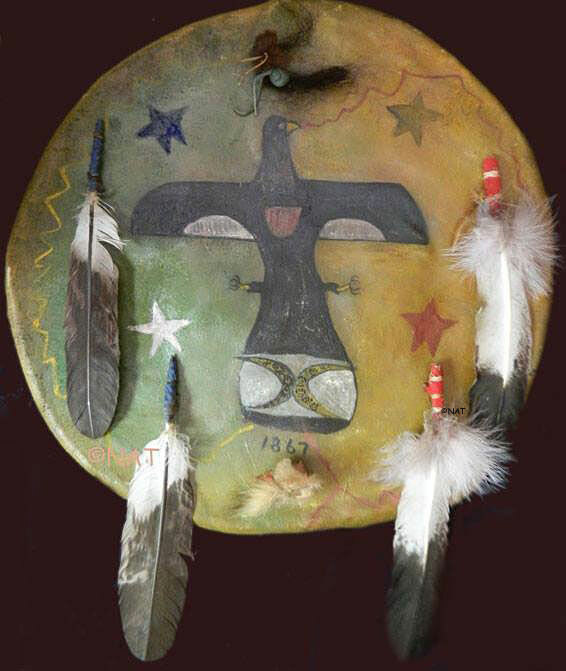 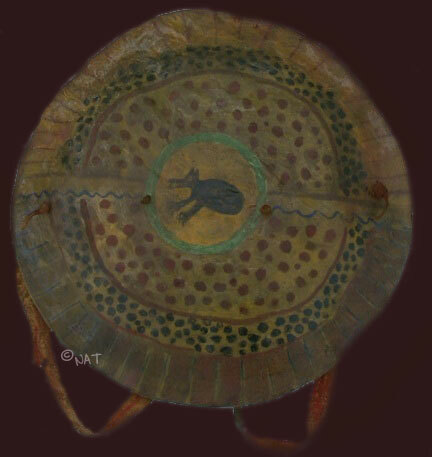 Shields used by Native American Indians in battle and also decorated with anything that would add power to the wearer. 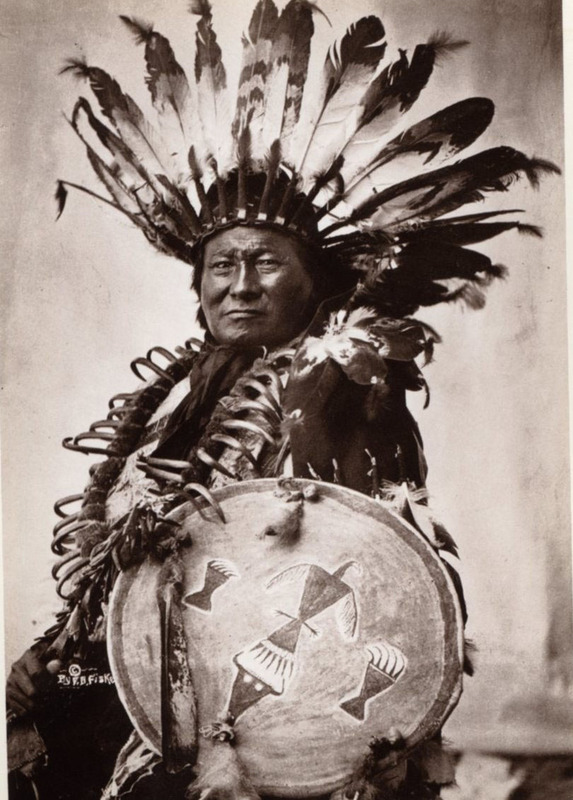 A shield was very important in that it would sometimes be the first thing an enemy would see and it needed to be very powerful to frighten off anyone that would do harm. 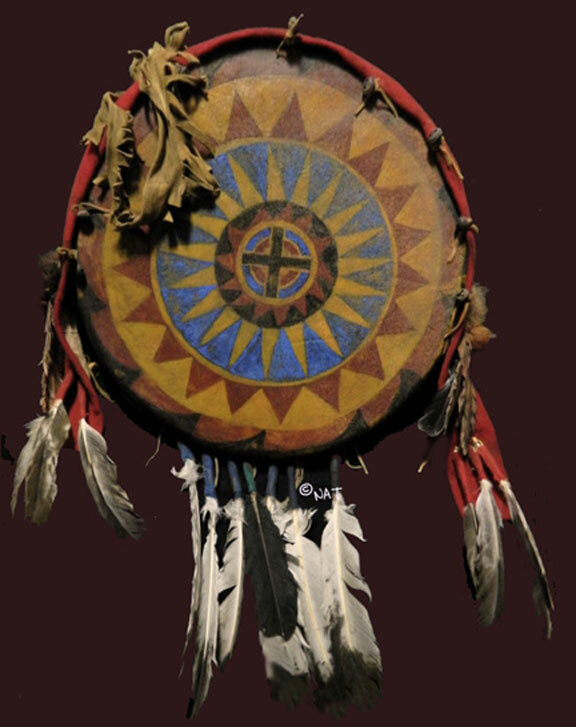 There were many types of shields used by the Plains Indian. 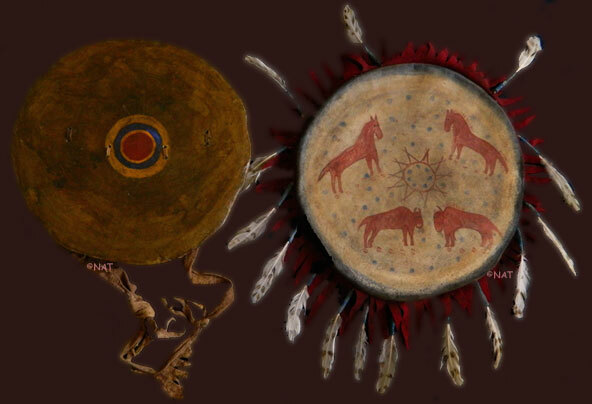 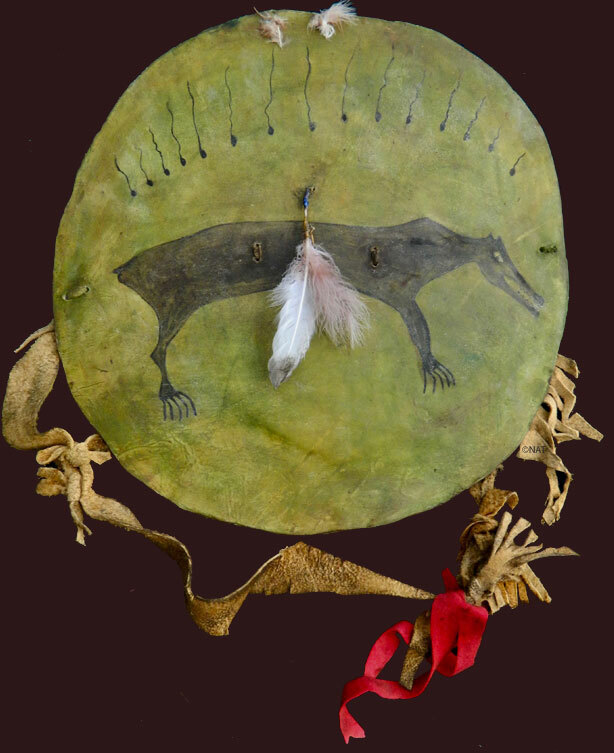 Among them, there was the shield made from the hump or the rump of the buffalo and then covered with a soft skin shield cover, or the other type of shield made of buffalo rawhide but supported with a handmade wooden hoop. 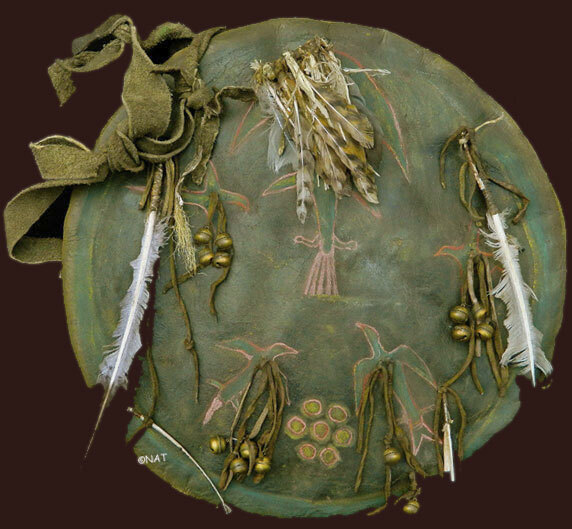 hard shield made of thick raw hide, brain tanned buffalo, brass bells, various feathers, earth clay paints, corn husks, etc. 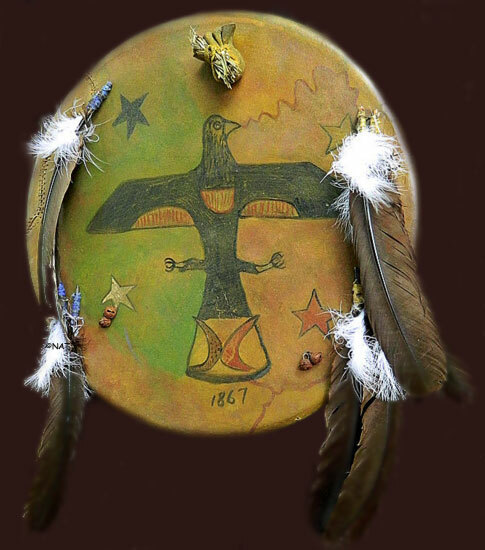 This shield is based the shield cover is based on a museum replica Oglala Sioux shield but have incorporated the clients personal medicine on the shield and shield cover. 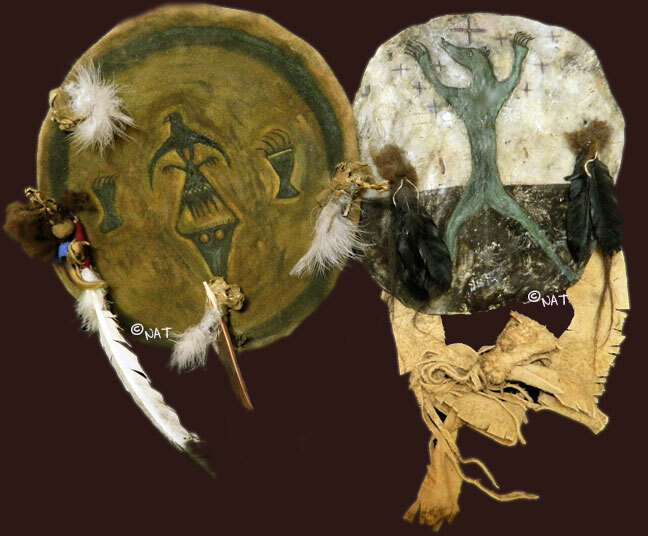 shield cover ( brain tanned buffalo) based on Rain in the Face's shield, but we have changed the Thunderbird / Eagle as per the clients request & added a few items that the client also wanted on the shield. 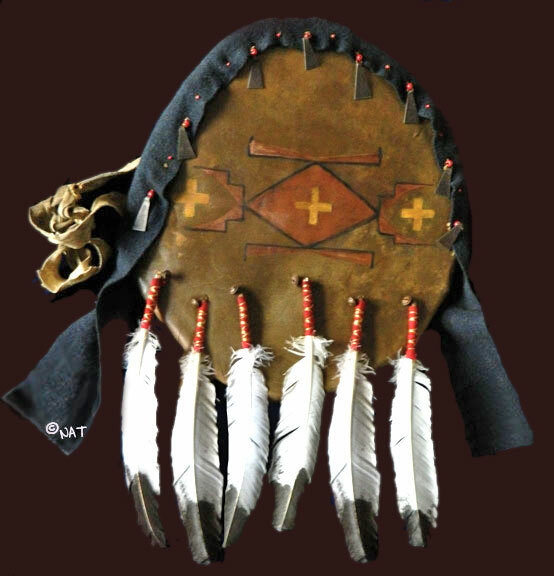 brain tan buffalo soft cover featuring either human or horse hair, otter and coyote fur. 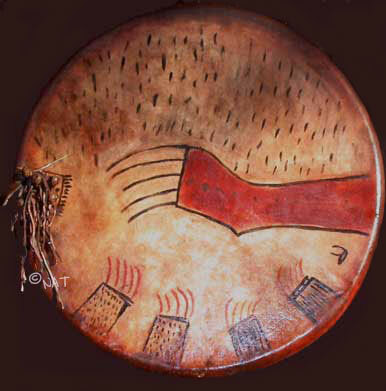 Painted with earth pigment paints. 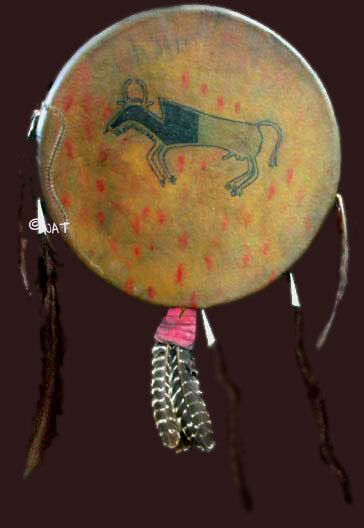 Based on a museum example - Sioux. 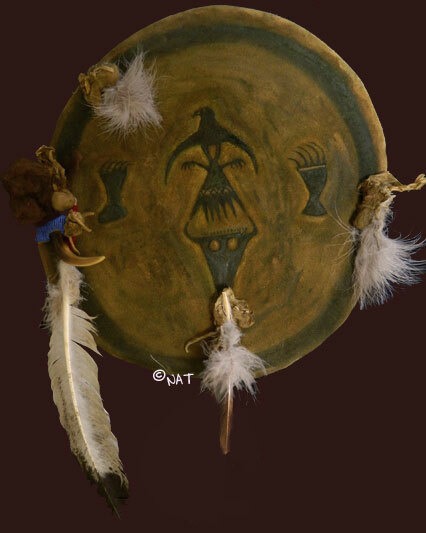 hand made wooden hoop, rawhide, trade cloth, deer skin, hawk bells, etc. 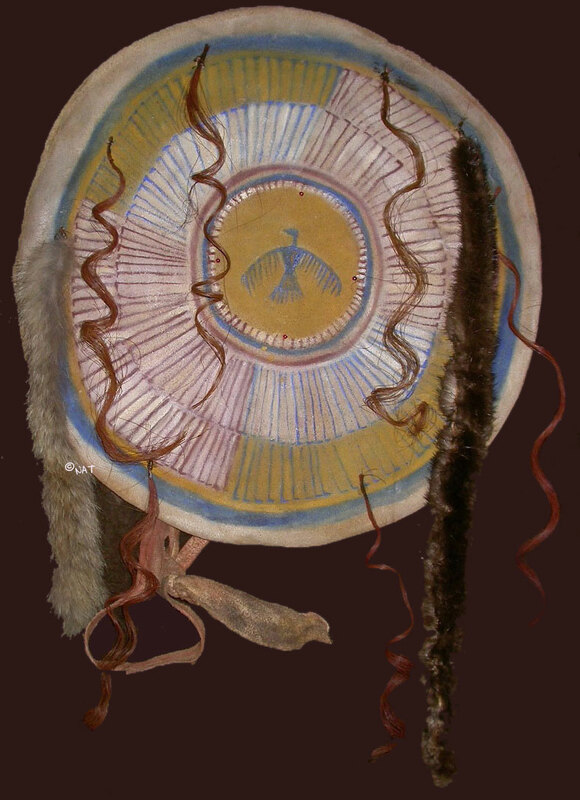 Eagle fluff, hide glue, sinew, etc.